Van Fleet: how many Labour members are there in Reading? For any Tories here, the answer is 10,000. In reality, that is not something I’m going to reveal. Sorry. But that is private to the party. Why did you ask anyway? Just curious? All CLPs memberships were revealed online during the Leadership election. Van Fleet – no, I’m a journalist. A decade ago, a third of Cllrs on Merseyside had no other income. One Cllr famously ‘earned’ £80k pa by virtue of being a Cllr. But most took the then £8k pa basic and as they tended to be the inactive ones, they didnt canvass either! Yes, all Parties employ paid Agents/Organisers. Although the most recent figures show the Tories only have 50, down from 400 in the ’50s. I think Labour peaked in ’96, but made a lot redundant after the ’97 election. Ah, but please don’t assume agent and organiser is interchangeable. The vast majority of CLPs don’t have paid-up agents. Only volunteer ones. Target seats will often have paid-up organisers however, who may well also act as an agent, but we tend to refer to them in the main as organisers, hence my questioning. And please don’t assume all councillors are like that. We’re known as one of the more frugal councils around as far as allowances are concerned. Unless they’re a pensioner, our councillors often have full-time jobs to contend with. As I said, makes getting out on weekday evenings abit more difficult, though I’d still expect to try as much as they can. But again, my central point is early Saturdays may not be the best time, but by in large canvassers are volunteering their time, and we can’t ‘force’ them to be out on better times. Yes, Tories refer to their paid professionals as Agents, Labour as Organisers, which is why I used the /. I didn’t mean an agent who just fills in a nil return in a council ward. Yes, most cllrs aren’t like that, just sadly a lot were/are in safe wards in Knowsley, Sefton, Lpool etc. But I won’t bore u with all of the scandals. Plus they tended to be the older cllrs, so it’s good to see some new young Cllrs in Lpool for example. I remember seeing a list of Labour Party membership numbers about ten years ago so I didn’t think it was private information. I’m always interested in electoral data of any kind, for all of the parties. Helps with predictions, I suppose. That’s one reason. Andy : both my parents were Communist Party members until 1968. My mother has been a paid-up, though never active, Labour Party member since 1972. My father however, having for many years been successively a Boundary Commissioner & then a judge, didn’t get round to joining until after the last election. They have at times voted tactically but are definitely voting Labour in 2015. I find it remarkable that he was made a judge having been a communist party member. It isn’t unique by any means. His friend Stephen Sedley has ascended to the highest judicial positions in the land & he was a Communist Party member, if I’m not totally mistaken, even longer – he’s now Lord Justice Sedley. Outstanding lawyers will achieve great things notwithstanding their political views – and there has always been a great difference in the postwar professional achievement of what essentially are reformist Communist Party members & those of Trotskyists, with the obvious exception of the acting profession in a few cases. She seems to be trying to hold tight until something else big happens to take attention away from her. Don’t know if it’ll work. Graham Brady, Chairman of the 1922, has apparently informed the PM that Tory MPs want her gone. 50:50 whether she survives the week. Gone by next month’s reshuffle. Cameron hates being forced into any decision. Well – she’s gone. How many times do politicians in this position have to learn that you can rarely ‘tough it out’. Echoes of John Major’s days. I’m sure this will have zero impact on the general election result, as politicians of all stripes have their fingers in the till and the public know that and have limited interest in individuals. But it is a negative outcome for democracy as a whole. What should happen now is another round of real reform which will remove the opportunities MPs currently have to enrich themselves at the public’s expense – especially via the expenses system. But I doubt it will happen. Wonder who her replacement will now be. There’s supposed to be a reshuffle happening after the May elections, but there’s now a vacancy in the Ministry of Fun. The rule should be in you incorrectly claim expenses to defraud the taxpayer then you should be sacked, a by-election should be called and your career in politics over. That way MPs would think twice about claiming for anything other than travel and lodgings (the cheapest option at that). However I do think that politicians need to be paid much more. The job is demanding, unpopular and requires a great deal of time away from the family. This extra increase in pay could be funded by halving the salaries of ‘super headteachers’, NHS consultants and ‘managers’ as well as cutting the salary of people like the EA boss. Zac Goldsmith’s support for a right of recall sounds more attractive in light of this. Granted it doesn’t create a carte blanche an outright kangaroo court, it should certainly be looked into as a future avenue. It’s fine and dandy that she’s gone from the cabinet, but I wouldn’t be surprised if many Basingstoke residents wanted her to stand down as MP altogether. runnymede, yeah that’s a good point. Anna Soubry is certainly another woman who has risen fast. Both had broadcasting careers at different stages as well. Shame to be denied a good old fashioned by-election with a bit more blood on the mat than some recent contests. But in fact, Sajid Javid has got the job instead. If Eddie Izzard was the Labour candidate, Farage would beat him easily. I think it would be worse than that for the tories with Miller as a candidate. More like 42 ish. Unfortunate for the Tories that they reselected Miller a few weeks ago. Means they would have to actively deselect her if they decide she might be too much of a liability. It’s a safe seat so better leave her alone to fight it quietly. A deselection battle will just prolong the headlines. Andy JS – true, although an SGM can be called. It’s how Sajid Javid got Bromsgrove after all. Although Julie Kirkbride and her husband were even worse offenders than Miller. LBernard – that would be true were it not for the fact that MPs don’t pay for food or travel or fuel etc. Their £69k salary is in effect £100k. She’s coming under pressure not to accept the £17,000 payoff for leaving the cabinet. And like most of us these days, the majority of MPs have a working spouse (some indeed on their own payroll) to pay half of the bills. When you take that into account the expenses may actually be far too generous. I hear Nigel Farage is on his way to Basingstoke to make an announcement at 6pm. I expect it’s ‘recall her’ and call a by-election or he’ll stand there next year. Either way, it seems he’s chosen the seat to fight. A mistake. It makes him look like a gimmicky opportunist. Tim Jones – absolutely. I hadn’t realised either til I read the full report on Chris Grayling’s claims. £300 pcm for food, all utilities, mobile phone, quite apart from claiming rent on a constituency office that his Assoc owns. No receipts for items below £100 is just a slush fund that doesn’t exist in any other occupation. MPs still DON’T GET IT. Hard to disagree with that. I bet there are plenty of claims for £99.99. Farage would be crazy to stand here rather than in Kent. If he does, it would show he isn’t very interested in getting into parliament. Of course the expenses system is far too generous, and I would suggest it plays a not insignificant role in attracting the wrong sort of people into parliament (i.e. rent-seekers). Terrible idea if he does stand here. Not the right seat. you’re quite right. Basingstoke is full of london commuters and high tech professionals. The WWC vote is pretty minimal too…basingstoke would not elect a ukip mp. It also looks very opportunistic and, by next year, miller could well get a sympathy vote, as her genteel middle class voters would be likely to side with against the beer-swilling, cigarette puffing Farage. It would be an epic mistake for him. not sure he’s that daft, tbh. There is a sizeable number of WWC type voters in Basingstoke, and it’s certainly not a place I would describe as “genteel”. UKIP might have a chance in a by-election but no chance in a general election. I think you’re probably right that Farage doesn’t really want to be an MP. It’s the only explanation as to why he hasn’t picked one of the most fruitful targets and worked it like hell across several elections. Partly I think it’s because Farage wouldn’t be seen dead living in the kind of seat UKIP could win. I don’t exactly see him living in a drab semi in Skegness or Tilbury. He lives in Downe which is an extremely posh village in one of the poshest part of Kent (officially actually in Greater London). I’m sure he’d love to be MP for Orpington or Sevenoaks but knows that those seats are too posh for him to win. Like Enoch Powell, whom he is increasingly coming to resemble, Farage is imprisoned by most of his strongest supporters being the kind of person he doesn’t like very much. 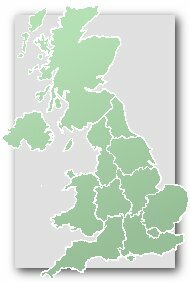 are there more wwc voters here than in thanet south, folkestone, thanet north, medway, sittingbourne and about half a dozen other seats in kent?